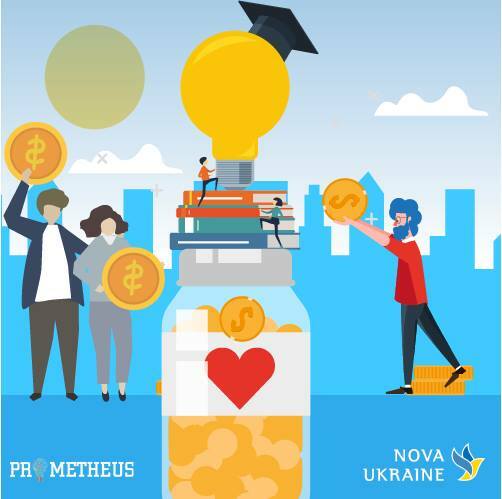 Prometheus is the leading online education platform in Ukraine with over 700 000 online registered students and over 90 online courses. We are working in close cooperation with top Ukrainian universities, leading professors, international organization and government. Our main goal is to bring the world’s best education to everyone in Ukraine. Today, the state system of training and professional development for teachers in Ukraine is in a catastrophic state. Fortunately, the new education law destroys the state’s monopoly and allows teachers to take their pick from a variety of educational institutions for their mandatory yearly professional development. Taking advantage of this unique opportunity, Prometheus obtained a license for Ukrainian translation and dubbing massive open online courses for the teachers by the legendary Massachusetts Institute of Technology, Columbia Teachers College and Queensland Universities. From now on, Ukrainian teachers will get an opportunity to improve their qualifications through advanced online courses created by the best universities in the world and hosted onPrometheus. The certificates they receive will be recognized by the Ministry of Education. We ask you to support the full translation and dubbing of three online courses that will open access to the state-of-the-art teaching science for half a million Ukrainian teachers. Instead of outdated textbooks from the 90s in regional institutions, the educators will gain access to the results of cutting-edge research and teaching methods of the most prestigious world universities. 10,000 dollars that we fundraise today will help improve the quality of learning for millions of Ukrainian students tomorrow. Launching Innovation in Schools by MIT helps teachers to become a change leader and take the first step towards launching initiatives to improve teaching and learning. Through experiential activities and assignments, teachers will begin to work with their colleagues to envision the next level of work for their team or organization, to launch a new initiative and measure their progress along the way. Design Thinking for Leading and Learning by MIT is a hands-on course for educational leaders to learn about the famous design thinking originated at Stanford and explore how it can transform classroom learning and school communities. It will help teachers find a way to introduce creativity, problem-solving, and communication skills to Ukrainian students. Deep Learning through Transformative Pedagogy by the University of Queensland is designed to show how powerful teaching strategies and effective learning activities can enhance deep learning. It explores deep learning by bringing together the most up-to-date research from cognitive psychology, contemporary educational theories, and neuroscientific perspectives”. No Replies to "Prometheus: World-class online courses for Ukrainian teachers"